We are recognized as one of the leading manufacturers and suppliers of quality proven range of Medical-PRIMA DNT. Optimum quality base material is used in manufacturing this product and is tested as per international quality standards. It is generally used by Dental general and specialty practitioner. We assemble our offered range with an intelligent LED illumination system, an APO chromatic Galilean optical system, and fluid articulation. Our product is widely accepted by our clients owing to its features like excellent performance and long service life. 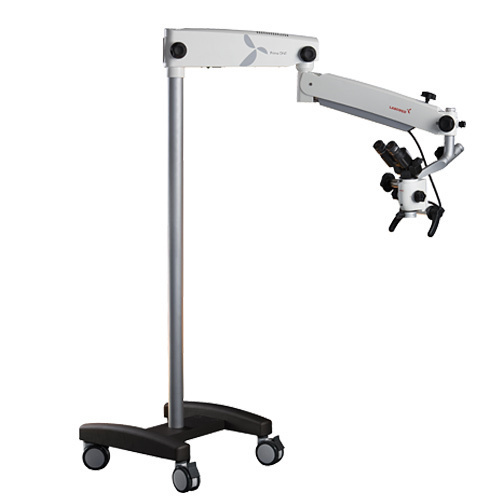 Realizing a microscope should adhere to any desired viewing angle, smooth and muli-axial articulation is a standard with PRIMA. An intelligent "LED Auto-off" position makes interacting with patients easier.